My favorite Jenny Calendar outfit would have to be the floral bell sleeved top and matching skirt. She matches it with a classic chunky heel. I really like this similar vintage pair by Kenneth Cole. 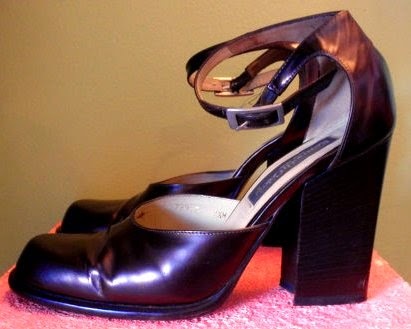 Someone needs to tell the fashion industry to bring back chunky heels. It's comfortable, easy to walk in and cute to boot. This is not to be confused with the Spice Girls looking platform shoes. Those can be left in the 90's where it belongs!